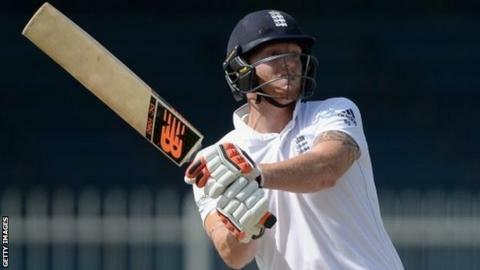 England are hopeful Ben Stokes will be fit to play in the first Test against South Africa next month. The 24-year-old Durham all-rounder injured his collarbone while fielding during the third Test against Pakistan and could not bowl. He batted at the bottom of the order as the tourists lost the series 2-0. "Every day that goes by, Ben has more movement in his arm," said coach Trevor Bayliss. "We're hopeful he will be OK for the first Test in South Africa." Stokes was able to play some shots on the final day in Sharjah, making a run-a-ball 12 before being the last man out in a total of 156. It was in contrast to England's first innings when he made a 10-ball duck but enabled Stuart Broad to extend the tourists' lead. The first of four Tests against South Africa starts in Durban on 26 December. Bayliss added: "It's one of those things where we'll need to assess and be flexible if he's not ready."